personal agenda, the WCRC faces funding cuts. downtrodden and full of despair and walk out with hope. Hope because someone cares and listens. feel less than. Hope because in their time of need, they found comfort. express how much of a difference the WCRC has made in my life. crisis. Helping each other is helping our brothers and sisters, mothers and fathers, sons and daughters. Don't allow the personal agendas of a few diminish the beacon of hope within our community. The Weed Community Resource Center is the only place many people can get help in these trying times. funding that will allow the sprinkler system to be at code seems more productive. 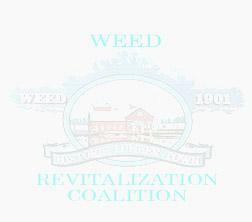 what the Weed Resource Center means to the people of this town. Stop trying to take away one of the most valuable resources we have and start helping to make it better. doors looking lost and needing that hand to help you.